With this product you can accumulate up to 144 Glitter Points. Rapidly absorbing formula to combat lost of firmness and elasticity. 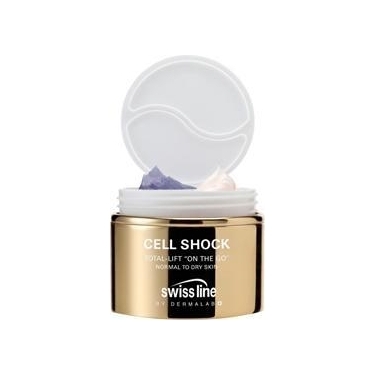 Total-lift On The Go (Normal and Dry Skin) is the Swiss line`s newest moisturizer. This convenient day and night formula combines the powerful properties of 2 best-sellers in a golden metal jar. 25ml of the Total-Lift Rich Cream and 25ml of the awarded Total-Lift Overnight Cream. Total-Lift Rich Cream - Apply A.M to clean toned face. Total-Lift Overnight Cream - Apply P.M.